By Vijay N. Shankar and Harminder Kaur. DEVELOPED on land bought from the Rani of Kahlur for Rs 500, by Guru Teg Bahadur Sahib, Anandpur Sahib holds a particular reverence in Sikh ethos because of its close association with the last two Sikh Gurus. The ninth Guru spent many years there, both before and after he became Guru, this is from where he set out on his final journey to martyrdom in Delhi, where his head was cremated, and his young son anointed Guru. In these hills, the young Gobind Rai grew up, created the Khalsa, held court that patronised many poets and writers of renown, and also where many historic battles were fought. The authors have given a succinct overview of the history of the place, and devoted a chapter to the martyrdom of Guru Tegh Bahadur. Various events have been recreated and connected with the relevant gurdwaras built at the sites where these happenings took place. We have the magnificent Takht Sri Keshgarh Sahib, where the Guru created Khalsa, and a personal space, Gurdwara Anand Karaj Sahib, where Guru Gobind Rai’s marriage with Mata Jito took place. It was at Anandpur Sahib that Bhai Kanahiya, a devout Sikh, was put up in front of Guru Gobind Singh by other Sikhs who accused him of providing medical help to enemy soldiers after a battle. When asked to explain his conduct, Bhai Kanahiya said he was merely following the Guru’s injunction to help those who needed it and that he saw divinity in every face when he was tending to the wounded. The Guru blessed him and told him to continue with his work. 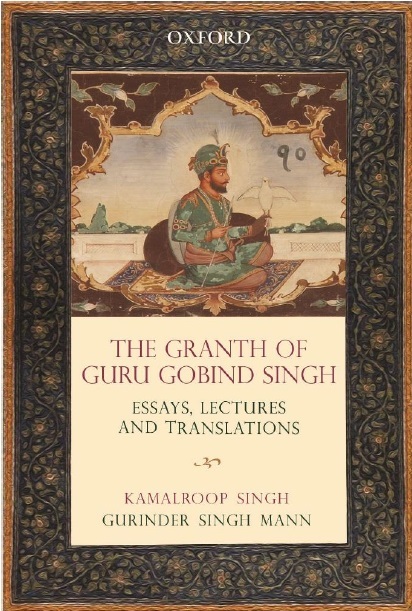 The betrayal of trust by hill Rajas after Guru Gobind Singh had been promised a safe passage from Anandpur Sahib resulted in the death of his two sons in the battlefield, and the separation of the other two sons and their grandmother, Mata Gujri, from the Guru. They were betrayed by a family retainer and subsequently arrested by the Governor of Sirhind, who offered them a choice of renouncing their religion or converting. They remained steadfast in their belief and were bricked alive. Hola Mohalla is where festivity, colour and marital spirit come together. It was first celebrated in 1701 by Guru Gobind Singh and we have lovely pictures by Sharad Saxena that show the event as it unfolds, including some of really cute children dressed up in traditional finery. The captions are informative, though one searches in vain for the names of the painters whose works feature in the book. Takht Sri Keshgarh Sahib is a repository of much of Sikh heritage, including weapons of the Gurus and the Hukamnamas, epistles, issued by them. This is where we have the original khanda with which amrit was prepared for the Khalsa and the Nagina which is shaped like a corkscrew, used to pierce the armour of an armoured attack elephant, a gun from Lahore that was presented to Guru Gobind Singh and of special significance is the saif, or the sword of Hazrat Ali, the son-in-law of Prophet Mohammad. The saif was presented by Emperor Bahadur Shah to Guru Gobind Singh. The authors have provided a glossary, though a bibliography would have added to the value of the volume. The Sodhi families of Anandpur Sahib are a living legacy of the city. Some trace their lineage to the families of the Gurus, and Sodhi families were among the prominent landlords of the area. It is not widely known that the town of Anandpur Sahib is also one of the oldest municipalities of the region. For many years, the president of the Municipal Committee was Sodhi Haravtar Singh, who passed away in July this year at the age of 94. The book has his picture as well as some information on the person, who had been intimately connected with the city of his birth. He was the father of Justice R.S. Sodhi, former Judge of the Delhi High Court, and Vikram Sodhi, a businessman and polo player. 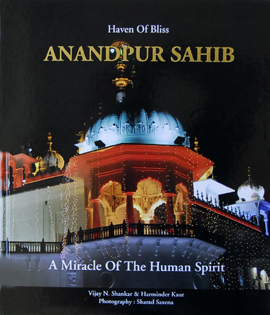 Many memories are jogged, as one flips the pages of the book and explores the past of Anandpur Sahib, which is a two-hour drive from Chandigarh. This volume gives us a colourful window to one of the more important towns of the Sikhs, even as it whets our appetite for more.